Trump adviser Anthony Scaramucci anti-science interview on CNN. Trump adviser Anthony Scaramucci manages to deny a lot of science in six minutes. 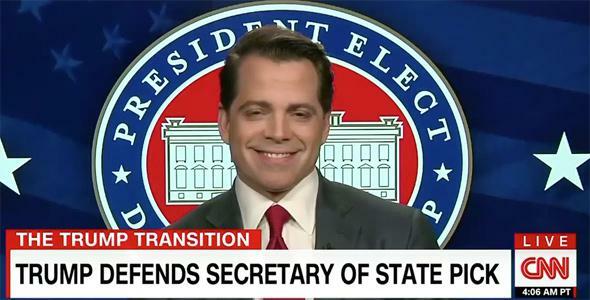 Scaramucci—who is on Trump’s Presidential Transition Team Executive Committee—was on CNN’s Wednesday edition of New Day, interviewed by anchor Chris Cuomo. The topic was global warming, specifically a recent and terrifying effort by Trump’s team to get the names of all Department of Energy scientists who work on climate change and have attended conferences on the subject. Given how anti-science Trump’s Cabinet nominations are, and Trump’s own predilection for harassing and attacking people, this move to collect names of scientists is extraordinarily chilling. It brings up visions of Joseph McCarthy at the very least. I’ve listened to this interview twice now, carefully, and in my opinion what Scaramucci says is nearly pure industrial grade fertilizer. I can only assume that during this interview, Scaramucci’s pants were on fire in a blaze rivaling a supernova. Let’s start at the beginning. The first thing Scaramucci does is downplay the attempt to get scientists’ names, saying it’s “an intellectual curiosity expedition” and then pivots into wanting to provide Americans with clean air. The good news is that the Department of Energy is resisting Trump’s requests, saying it won’t give him the names of the scientists. I hope they maintain this stance, because we have lots of evidence anti-science GOP politicians can keep the pressure on for a long time, even long past the time where they have publicly embarrassed themselves and their party. Also, interestingly, on the day after the interview the Trump team disavowed the survey that asked for scientists’ names, saying the staffer who released was not authorized to do so. If that’s the case, why was Scaramucci not told this? Why would he have to downplay it? Between that and the breathtaking dishonesty over everything Trump’s team says and does, this disavowal doesn’t ring true. And it goes on. Cuomo expresses again (at the 1:10 mark) his concern about Trump wanting the names of scientists, and Scaramucci deflects a second time, veering the discussion to the existence of global warming itself. There are scientists that believe that that’s not happening. …there was an overwhelming science that the Earth was flat. And there was an overwhelming science that we were the center of the world. A hundred percent, you know, we get a lot of things wrong in the scientific community. You and I both know that. I’m not suggesting that we’re not affecting the change. I honestly don’t know, I’m not a scientist. This is utterly wrong. No, there was not overwhelming science that the Earth is flat; the ancient Greeks knew we lived on a sphere more than 2,000 years ago. That’s science. It’s not just a collection of facts, but also a process that leads us to understand the Universe and to uncover its true nature. The irony here is that Scaramucci is the one sticking to old ignorance, while accusing science of being wrong. And then he has the gall to say, “I’m not a scientist,” that old canard used by the GOP when they’re about to cast all of science aside instead of actually listening to what scientists have to say. Scaramucci’s statements here are nothing more than the zombies of climate change denial, the completely false claims made by deniers that reanimate over again no matter how many times you destroy them. CUOMO (simultaneously): I think you have to distingusihh between predictions and the fundamental proposition. Scaramucci’s comment there is interesting; he at first says the Earth is 5,500 years old, then corrects himself to say human history is that old. First, I would say human history is far older; written history goes back about that far, but we have records of human art going back much farther than that, well over 10,000 years, and arguably much farther back than that. Even if we give Scaramucci the benefit of the doubt here, the context is important; when discussingscience and Trump it’s important to understand that Trump has enveloped himself in people who are creationists as well as climate change deniers; VP Mike Pence is one, Rick Perry appointed creationists to the Texas State School Board over and again, and Ben Carson said evolution is satanic and the Big Bang is a fairy tale. Scaramucci even manages to get this wrong number wrong. Tip o’ the thermometer to Robert McNees. *Correction, Dec. 16, 2016: This post originally misstated that Scaramucci claimed Trump believes climate change may be human-caused but at that moment he was actually talking about President Obama. It also misspelled Exxon Mobil. 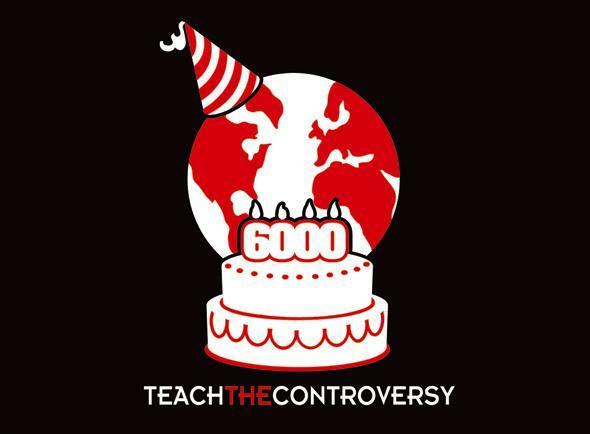 **Correction, Dec. 16, 2016: This post originally contained an incomplete transcript of Scaramucci’s exchange with Cuomo and thus misstated that Scaramucci said the Earth was only 5,500 years old. He said that human history is 5,500 years old. A complete transcript has been added to the post, and the analysis of Scaramucci’s remarks has been updated accordingly.